Guardian Preservation Services produced a well thought out and thorough proposal to deal with the problem of our flooded workshop. The work was carried out efficiently and within schedule and budget. I would have no hesitation in recommending Guardian to anyone requiring such technical expertise. We are extremely pleased with every aspect of the work you have done for us – right through from the practical advice and solutions you offered to the carrying out of the work itself by your team. Their expertise and professionalism shone through at all times and we very much appreciated the consideration they showed for our home. It is a great thing these days to find tradespeople of integrity and sound judgement and we feel that we found them in you and your team. We appreciated your pragmatic approach and the way you understood and responded to our holistic needs. The guys you deployed were very professional and personable – a pleasure to have around. Wherever possible they made sure that the impacts on the rest of the house and on our family routine were minimal. This was much appreciated. 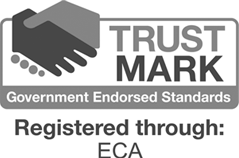 The standard of work meets our high expectations and we would not hesitate to recommend guardian to others. Thanks again. I was very impressed with your employees’ competence and professionalism in undertaking these works on our behalf. We would just like to say how very pleased we were with the way your technicians carried out the work and how very helpful they were. Nothing was too much trouble and they were extremely polite, clean and tidy. Excellent, and that comment goes across the board to everyone I have had dealings with at Guardian. Probably one of the most professional companies I have ever dealt with, at all levels! Thank you once again. Many thanks for the work to our cellar. We found your technicians to be polite, helpful and at times almost invisible. We are extremely happy with the high standard of work and workmanship that was put into the cellar by your company and would recommend you to others. A very Happy Christmas to you and your team and thank you again for the wonderful work and service you provided for us in converting our basement. I will continue to recommend your company to anyone who is prepared to listen! The whole experience has been superb and we are delighted with how the cellar now looks. Your surveyor was friendly, straightforward and honest as was the response to our initial enquiry. The guys were brilliant – hardworking, clean and helpful. We couldn’t be happier with the work – fantastic! We would most definitely recommend you to others – superb! 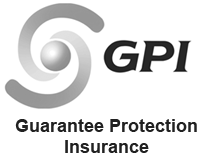 Guardian Preservation are a very professional company, the company handled my enquiry professionally and efficiently. The surveyor was very knowledgeable and the survey report told me exactly what work needed doing. All the technicians were competent, polite, tidy and really nice people. The work was carried out with minimum disruption and mess. Darek and Robert were excellent workers and a credit to Guardian Preservation, as was everyone i dealt with. Without a doubt, I would recommend Guardian Preservation. I felt very comfortable with the knowledge of the surveyor and there was no pressure applied. The technicians were very friendly and always punctual. We are more than happy with the quality of work and Marrick is the most helpful person I have ever had to carry out work at my home. We are more than satisfied with the work and pleased with how clean the site was always left and I would have no hesitation whatsoever to recommend your company. The organisation was highly commendable, everything was always ready on time and we never had to chase anything. If you need a reference in the future we are more than happy for you to pass on our phone number to potential clients. Thank you very much! We were very impressed with the honesty of the service we received when you came to give a quote for work we thought needed doing at our house. It is unusual to find a company who give an honest opinion rather than recommend unnecessary work, especially as we already had a quote for this from another company. Much appreciated and highly recommended! An immediate response to our call. The survey report provided the mortgage company with useful information. A good job carried out by a friendly and co-operative operator. A great pity you do not operate in the area I am moving to. Pleasant and helpful with very quick response to initial enquiry. Helpful, understanding and very efficient surveyor. Extremely pleasant and respectful technicians. A very disruptive and difficult procedure carried out with the minimum of fuss within time frame. Lynn was very helpful and gave us all of the information that was required. The report is very thorough and very beneficial. We would definitely recommend your services to others. Speed of response was excellent and this continued in organising and conducting the survey and production of the report. I received exactly what I needed – a thorough, detailed report and breakdown of problems, solutions and costs. Without the survey report I would not have felt comfortable continuing with my property purchase; I also had a very real sense of relief that I was in good hands with Guardian. Looking forward to having Guardian conduct the works after the move. I confirm my complete satisfaction with the work carried out by both yourself and your operatives. At no time were we cast in any doubt as to what was required and any queries were answered promptly and efficiently so that we could reassure our clients. I am sure we will be dealing with each other again in the future. Surveyor gave knowledgeable advice with a practical approach and was entirely trustworthy. Excellent and courteous technicians, the site was left so clean and tidy I didn’t even know you’d been! An outstanding firm who gives truly personal service and I have already recommended you to many friends and colleagues. Guardian explained that a quote from another firm @ circa £11,300 was not needed. I did the job myself using a £6 can of damp resistant paint. I then decided to get Guardian to damp proof a cellar area and was totally delighted with the result. Darek and Robert were excellent workers and a credit to Guardian Preservation, as was everyone I dealt with. Without a doubt, I would recommend Guardian Preservation. A new experience for us, so initial contact was very clear and reassuring. The surveyor provided useful technical explanation of the nature of damp. The technicians as well as being skilled, were easy to talk to in order to work around problems. I would rate their service as excellent and would definitely recommend Guardian Preservation. 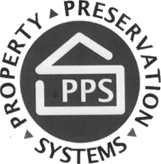 Newton Waterproofing Systems highly recommend Guardian Preservation Services. They are experts in structural, basement/cellar waterproofing and deliver first rate service. We proudly recommend them as a Newton Specialist Basement Contractor. © 2019 by Guardian Preservation Limited. All rights reserved.